The no-bezel trend is taking the world of smartphones by storm. This approach was introduced a few years ago with the Sharp Aquos Crystal, but devices like the Xiaomi Mi Mix, LG G6, and Samsung Galaxy S8 popularized the concept with consumers around the globe. The above handsets are undoubtedly great, but it's also true that the price tags they carry won't comply with everyone's budget. 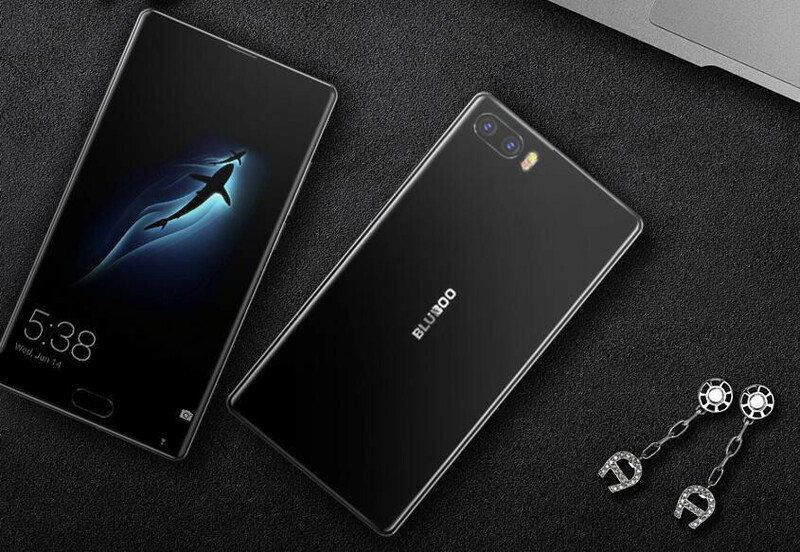 With its new S1 model, Bluboo is trying to prove that bezel-less smartphones don't necessarily have to be expensive. Bluboo S1 comes with a 5.5-inch 1080p Sharp display that seems to run off the edge on three sides. There is a chin on the bottom, but the phone manages to achieve a large screen-to-body ratio nonetheless. It measures at 148.6 x 74.3 x 7.9 mm, which makes it both shorter and narrower, though, a bit thicker than the iPhone 7 Plus. When it comes to hardware, the S1 doesn't disappoint. It's powered by an octa-core Mediatek Helio P25 clocked at 2.5 GHz, coupled with 4GB or 6GB of RAM, and respectively with 64 or 128GB of onboard storage. Both versions feature microSD support up to 256GB. The battery with 3,500 mAh capacity provides ample time between charges. Another big highlight of this affordable mid-ranger is the dual-camera composition at the back. The 16MP Sony main camera is responsible for taking all the photos, while an assistive 3MP sensor is employed for depth perception. This combination allows for shallow depth-of-field and bokeh effects. As for the selfie cam, you will find the 8MP shooter situated on the chin of the S1, which also hosts the physical home button that doubles down as a fingerprint scanner. On the software side, the S1 runs Android 7.0 Nougat out of the box. Bluboo strives to keep the Android experience as unaltered as possible, which usually translates to less bloatware and on-time updates. So, how much will the phone cost and when will it become available? 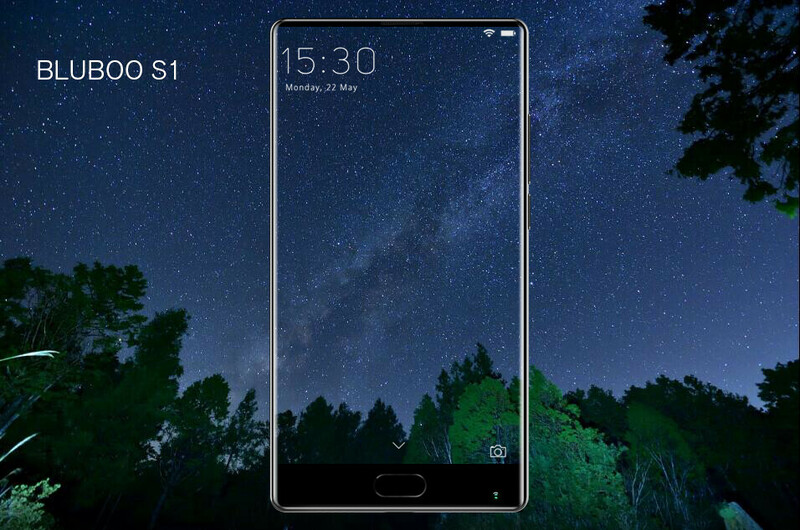 Well, Bluboo has set a $150 price tag for the S1 and it is expected that the handset will hit the shelves in July. Keep in mind that additional shipping and tax fees may apply. However, the manufacturer is also doing a “Global Reserve” pre-sale event that kicks off today and ends on June 30th, 2017. Depending on the number of subscribers, up to 2,000 S1 units will be given up for free, while there's also a “share & win” Facebook contest running in parallel with the bigger promo. For more information about the event and the phone itself, check out the two links below. 150 bucks? Wow what an absolute steal... But I suppose that price tag is not inclusive of VAT. Take a note OEM's. By the way front facing shooter is at the bottom, good way for showing your nostrils. You could just hold the phone a little higher no big deal and since you can see yourself no one will actually take a nostril filled selfie lol. "The no-bezel trend is taking the world of smartphones by storm." I think it's a stupid trend, just a marketing gimmick. Having a larger screen on smaller body is good I guess. Yes its a fad. But unlike some fads, this one actually has benefits. Bezeless means larger displays, with very minimal change in device size. I mean, look at the S8. Its about the same size as the S7 edge, and yet houses a larger display. LG G3 146x74,6 and 75,3% screen to body ratio, Bluboo S1 148,6x74 and 90% screen to body ratio? Both 5,5" display. Why PA. The whole 90% screen to body ratio is a blatant lie. Just Google "screen to body ratio calculator", enter all the numbers and you get a whopping 75.4%. Companies are just trying to cash in on the bezel-less trend so they just throw out some random high number and stupid people believe it. Correction it's 75.48%. I don't scroll over enough in the little box to see the 8. This Bluboo phone along with the Doogee Mix both miss the point of going bezel-free - to make the phone a bit narrower to hold in the hand. This is what the Samsung S8 and the S7 Edge achieve - the latter is also a 5.5 inch phone but only 72-73 mm wide. The Bluboo bezel-free phone is over 74 mm wide and I think the Doogee Mix is over 76 mm. The Doogee is quite squat but the Bluboo is just under 149 mm long so it is not even that short - the LG G3 was a similar length. I don't know anything about the Mediatek Helio P25. Does anyone know how it compares to, say, the Snapdragon 625?